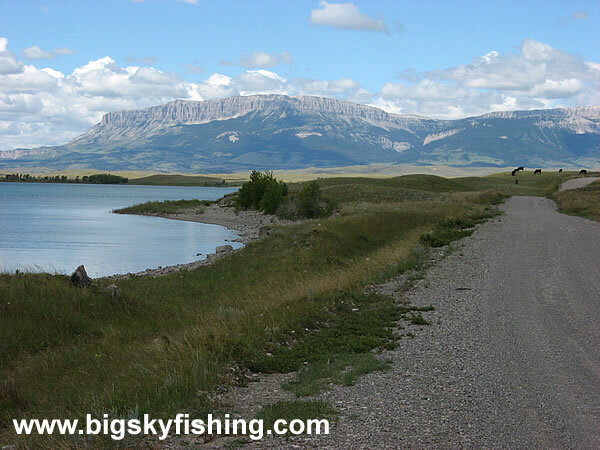 When coming from Choteau, this is the first view you'll get of Pishkun Reservoir, which has solid fishing for trout. Primitive camping is available all-around the reservoir, and a small, developed campground also exists. One nice thing about the developed campground is that it's fenced off to keep all the cattle away.